The Florentine painter Sandro Botticelli (1445-1510) is one of the greatest artists of all time. Renowned of the iconic Birth of Venus and Primavera, his work has become part of our collective visual memory, influencing product development, fashion design and artists as diverse as Andy Warhol, Dante Gabriel Rossetti, Rene Magritte and Jeff Koons. 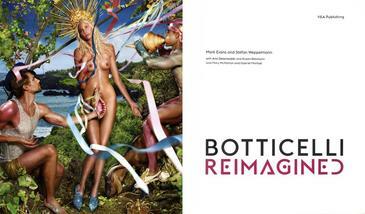 But Botticelli’s fame today was by no means a foregone conclusion. Quickly forgotten after his death, he was only rediscovered as an artist in the nineteenth-century – and much of what we know of his work has been pieced together from fragmentary evidence; only three of his works are signed or documented. Since then, ‘Botticelli’ has been interpreted in many different ways and has led to many questions. How does a painter acquire international fame? What made Botticelli a pop icon? Why are his works considered timeless? What is it that makes him so ‘European’ that his Venus appears on the 10 cent coin? What we can say–safely–is that Botticelli, more than any other Old Master, inspired and continues to inspire modern and contemporary art. This book traces the fascinating history of these shifting appropriations and re-evaluations right up to the present, and is the first to present the artist’s work–a selection of more than forty originals by Botticelli–in the context of these adaptations and interpretations in a range of media that spans painting, drawing, sculpture, photography, video, fashion and design. Mark Evans is Senior Curator of Paintings at the V&A. Stefan Weppelmann is Director of the Gemaldegalerie at the Kunsthistorisches Museum Vienna.